Matthews Construction LLC is a Master Contractor with Duro-Last® Roofing, Inc. Duro-Last Roofing, Inc. manufactures a custom-prefabricated, reinforced, thermoplastic membrane roofing system that is ideal for any flat or low-sloped application. 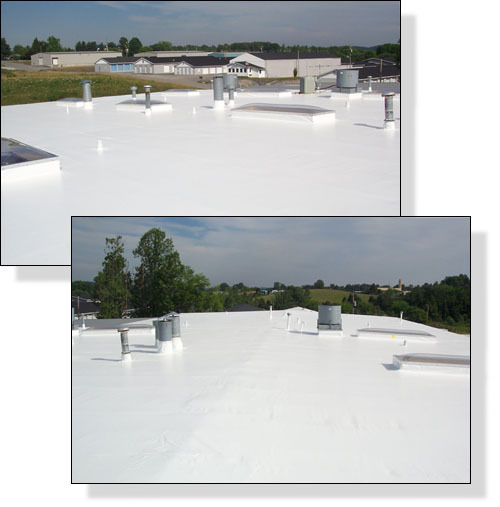 Extremely durable and easily installed by authorized contractors without disruption to daily operations, the Duro-Last single-ply roofing system is also leak-proof, resistant to chemicals, fire and high winds, and virtually maintenance-free. Over a billion square feet of Duro-Last membrane have been installed on all types of commercial and industrial buildings throughout North America. Prefabrication not only reduces the material waste associated with installing most rolled-membrane systems, it also eliminates 80-85% of the typical on-site, labor-intensive seaming required for other single-ply roofing systems. The Duro-Last roofing system also comes complete with all accessories included. Every Duro-Last roof is measured and manufactured to exact size, accommodating every rooftop penetration. Prefabricating the roof in our controlled factory environment eliminates up to 85% of seaming that is done on-site during rooftop installation, and improves the long-term performance of the roofing system. This precise attention to detail ensures an excellent fit and delivers worry-free, leak-proof protection. Duro-Last can even assist your architect, facilities or maintenance personnel in developing specifications for your roofing project. The Duro-Last roofing system is resistant to fire, chemicals, grease, high winds, punctures, and easily accommodates wide temperature extremes. 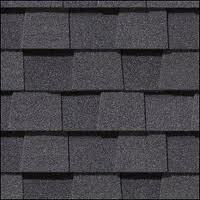 Duro-Last’s custom flashing resists ponding water and helps solve roof problems before they can occur. Plus with Duro-Last’s available Roof-Trak® Protective Walkway System, heavy equipment, and maintenance traffic are easily managed. Building occupants will hardly know a new roof is being applied, because installation is quiet and safe. There are no loud machines, no hazardous materials, no noxious fumes, no hot tar, and no mess. In many cases, a new Duro-Last roofing system can be installed over an existing roof without an expensive tear-off, virtually eliminating dust or falling debris that could interfere with building activities or damage sensitive equipment. Duro-Last is a leader in cool roofing solutions, and has introduced the Duro-Last Cool Zone®brand to address the growing nationwide interest in energy-efficient roofing systems. Duro-Last is proud to be a charter partner in the ENERGY STAR® Roof Products Program, sponsored by the U.S. Environmental Protection Agency. ENERGY STAR (www.energystar.gov) has approved a wide variety of cool roofing products, all with different levels of reflectivity, different performance characteristics, and different warranties. Of the white, single-ply products rated by the ENERGY STAR program, only the Duro-Last Cool Zone roofing system has retained reflectivity of greater than 85% after three years of weathering (based on ENERGY STAR roof products testing criteria). This high, sustained reflectivity is saving significant energy and money for building owners all over the United States. Because the Duro-Last roofing system is mechanically-attached and insulation can be placed under the membrane during the roof installation, you can reduce your building’s heat loss in the winter.